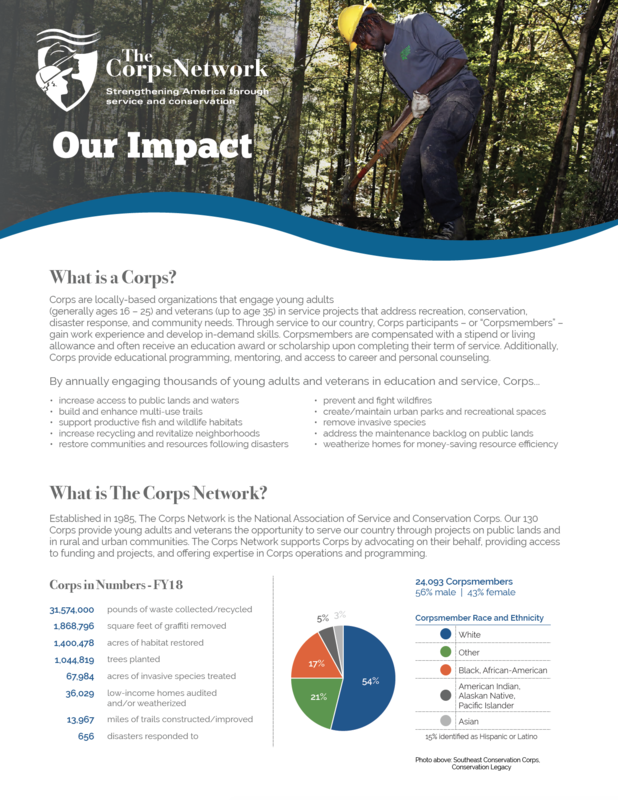 The Corps Network applauds movement on the 21CSC Act and extends appreciation to the original co-sponsors – Sens. Michael Bennet, Lamar Alexander and Tom Udall – as well as to Chairwoman Lisa Murkowski and Ranking Member Maria Cantwell for their leadership in advancing the legislation. The Corps Network also thanks the co-sponsors and supporters of S.1403: Sens. Roger Wicker, Steve Daines, Jon Tester, Angus King, Patty Murray, Mazie Hirono, and Martin Heinrich. The Corps Network urges the full Senate to pass the 21CSC Act in honor of Sen. McCain, a lifelong advocate of military, national, and public service. As the bill progresses, The Corps Network encourages lawmakers to consider a Sense of Congress within the bill that honors the late Senator’s legacy and renames the bill appropriately. Additionally, The Corps Network supports efforts to reconcile the Senate and House versions of the bill. We urge that the final bill include provisions from the original version that would expand national service and AmeriCorps opportunities for young adults and veterans, and enable Corps to better address unmet community and national needs. In June of this year, the House Committee on Natural Resources passed the full 21CSC Act (H.R.2987) with unanimous bipartisan support.